i-to-i: 120, 180 and 300 hour online TEFL courses as well as 140, 200 and 320 hour combined TEFL courses with a weekend classroom course. 4 week TEFL course in Prague, Czech Republic. Take the opportunity of job guarantee in Prague or job guidance worldwide through TEFL International chain. 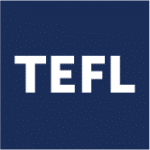 The TEFL Institute of Ireland is an Irish based TEFL course provider who’s foundation has been built on its 5-star customer service and delivering government Regulated Level 5 TEFL training. Together the team has over 20 years of EFL training and teaching experience, which shows through the committed job assistance and continued lifetime support to our customers. Buenos Aires TEFL Institute: TEFL Course with Job Placement. Internationally accredited diploma to teach English in Argentina or anywhere in the world. Teach English in France or worldwide – with our 4-week accredited TEFL Certificate course with 6 hours teaching practice in Toulouse. ACT brings to you the premium in class 3 weeks TEFL training program of 120 hrs. where you get the opportunity to experience a holistic TEFL training incorporated with the latest teaching techniques in Bangalore, Mumbai, Kolkata, Kerala, Delhi, Chennai and Hyderabad. Mirsal Education and Training Centre runs Onsite and Combined TEFL / TESOL courses with special offers for the teachers who are going to apply for the UAE teachers Licensing program. Take our TEFL Course in one of over 20 locations worldwide. Includes 130 hours of expert tuition with 10 hours of assessed teaching practice. TEFL certificate courses run by AVO, Sofia – gain real-life teaching experience and develop your teaching skills with the help and guidance of our highly professional and very supportive CELTA tutors. Internationally accredited TEFL-TESOL certification courses in 25 locations and online. Download a free brochure about TEFL certification and teaching English abroad! Earn an internationally recognized TEFL certification online from OISE at the University of Toronto. Choose from a 100-hour, 120-hour, or 150-hour course to teach abroad with industry-leading training in Teaching English as a Foreign Language. AVSE-TESOL Australian Government accredited and internationally recognised TEFL course, 150 hours over 4 weeks (attendance) including 20 hours of hands-on practical experience. Get your CELTA or Trinity CertTESOL qualification in just 4 weeks in Barcelona, Cadiz, Malaga, Prague, Kerala or London.